Micah Cash is a photographer based in Charlotte, North Carolina. His work examines how land use, landscapes, and their social histories influence cultural geography. Themes of ownership, demarcation, and utilization are explored across media. Cash received his MFA from the University of Connecticut and his BFA from the University of South Carolina. His work has been exhibited nationally, and his paintings and photographs have been featured in Places Journal, Dotophotozine, Light Leaked, Two Coats of Paint, 10 Journal, and Another Place. He is currently an Adjunct Professor of Art at the University of North Carolina Charlotte. Today we share a conversation with Micah about his series, Dangerous Waters. 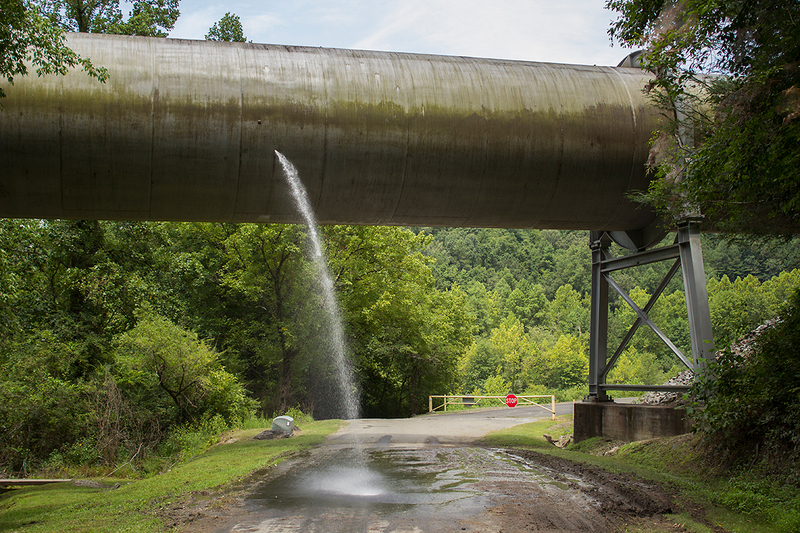 Dangerous Waters investigates the landscapes and contemporary social impact of the Tennessee Valley Authority’s (TVA) hydroelectric program. These photographs explore the tenuous balance between spaces designed for hydroelectric generation and public recreation. 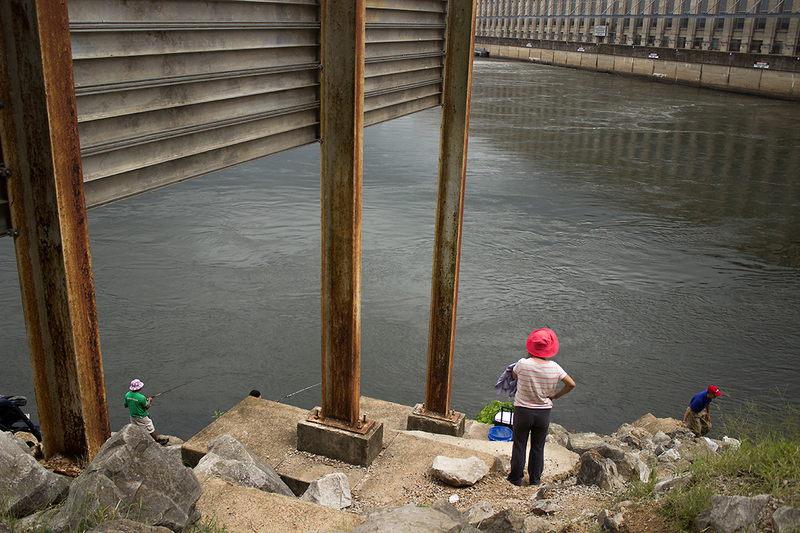 While these dams have become symbols of social and economic prosperity, they also remain visual reminders of loss, population removal, and eminent domain. The ecological and personal sacrifices are privately internalized and the social benefits publicly celebrated. 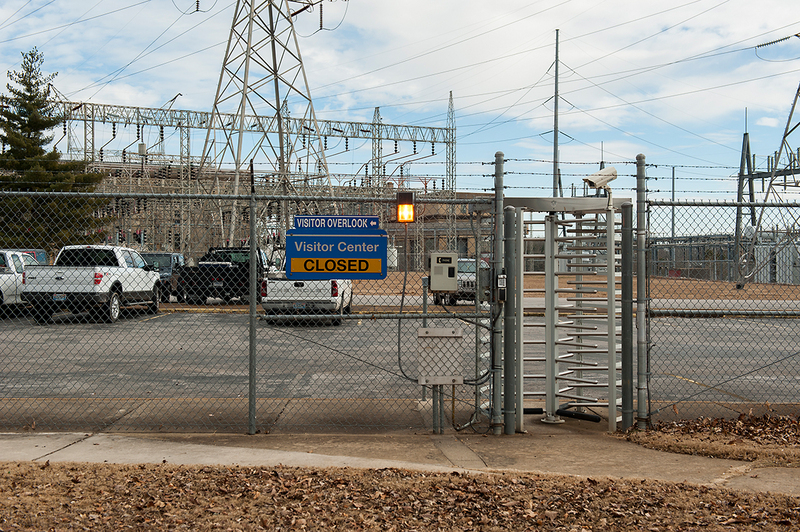 Over eight decades since its founding by the United States Congress, the social presence of TVA is one of reassurance: employment and opportunity, people before profit, technology as benevolent, and affordable and abundant electricity. The accompanying recreational land is a civic contract to the descendants of those families that were relocated and to the memory of inundated ancestral land. AB: What would you say is the largest motivating factor in creating this work? 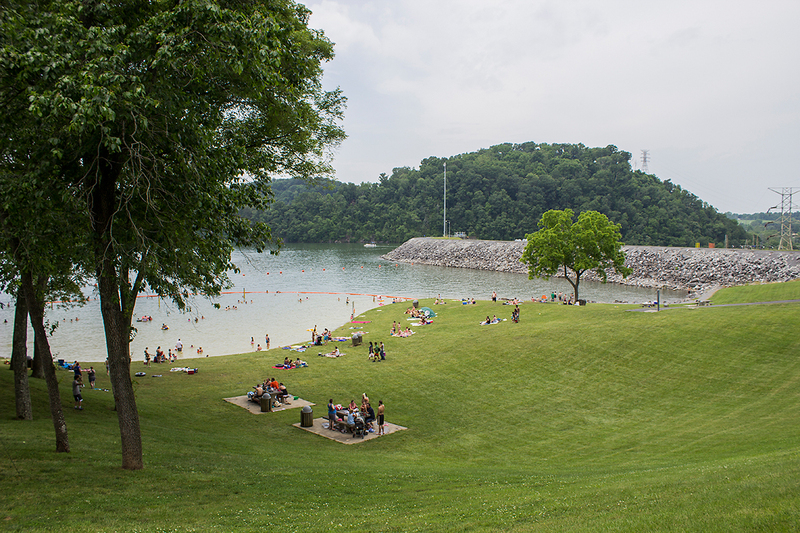 MC: When I began this project, my chief interest was an inquiry into landscapes that were designed for both hydroelectricity and public recreation. I knew that I had to experience locations where this was not only in place on a large scale, but also where the architecture and design was intentional. I was interested in visualizing those competing designations of space, predominantly from the vantage point of access. The Tennessee Valley Authority (TVA) was a natural fit because of its social mission and widespread alteration of topography, culture, and politics. Although that was the initial inquiry, I have persisted in the project due to my interests in the people of the Tennessee Valley. Understanding their relationship to these locations and perceiving such historical spaces from a contemporary vantage point has been challenging and revealing. In addition, I am intrigued by the socialist approach to welfare and regional development that TVA embodies. The culture of our country has shifted over the generations since TVA’s founding, and the people of this region have been significantly affected by TVA in complex ways. The agency, along with its aspirations and consequences, is inherently embedded into these people’s lives in ways that go well beyond that of a typical utility provider. That is the narrative that has motivated me over the past two years. 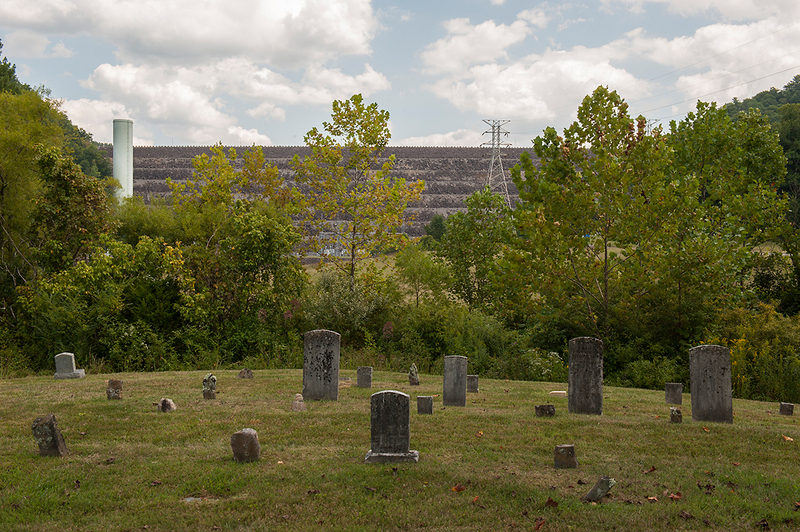 At its core, this project is not simply about TVA’s hydroelectric program and its architecture; instead it captures how that architecture and the company’s approach to regional development has altered the cultural geography and topographical space of the region. 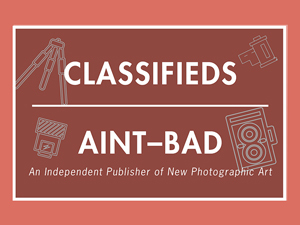 AB: You have said that you don’t consider yourself a documentary photographer, how would you describe your artist approach to this subject matter if not documentary? MC: As an artist, I am not big into labels, either conceptual or academic. In order to make the best images I can and approach my projects with the respect they deserve, I have to let go of designation. I approach landscape and place from the narrative of cultural geography. Photographing what a location looks like does not interest me as much as consideration of the reasons why it looks the way it does. In turn, I want my photographs to consider the cultural, social, and political ramifications of land use. In that regard, the entry point is one of documentation, but I have no interest in suppressing my reactions to these locations or to the historical and contemporary narratives that shape their perceptions. My interpretation of these spaces range from cynical to joyful, and I consistently position my lens from a variety of conceptual vantage points: as a tourist, as an artist, as an outsider, as a local. Ultimately, I am interested in how these spaces are perceived by all of the people who live, work, and play within them, and those perceptions can be at odds with each other. Connecting those view points with my own interpretation can be messy, but leads to imagery that is visually and conceptually layered. It is fine for someone to approach this work as documentary, but they should not be surprised when an image pushes back against objectivity or a supposed narrative. My voice is just as prevalent in these photographs as that of TVA or the people it serves. AB: In addition to your photographs, you create paintings based on the same subject matter. Can you explain your process for creating these pieces? Are the paintings based off of your photographs? MC: While the two bodies of work stem from the same subject matter, they are separate conceptual inquiries and fulfill different creative needs. The Hydropower paintings are specifically about my experience within such landscapes of hydroelectricity, and the compositions are severely altered and abstracted to represent how the spaces felt. The process of painting allows me to reconstruct those locations through memory and emotional residue. In this case, there are no photographic references: vistas are obscured, the architecture and color palette can be aggressive, and the paint application varies from flat to organic. They truly become my landscapes. Yes, they are informed by real locations, but I have no concern in representing them accurately. As a whole, they consider the landscape alteration of hydroelectric dams. 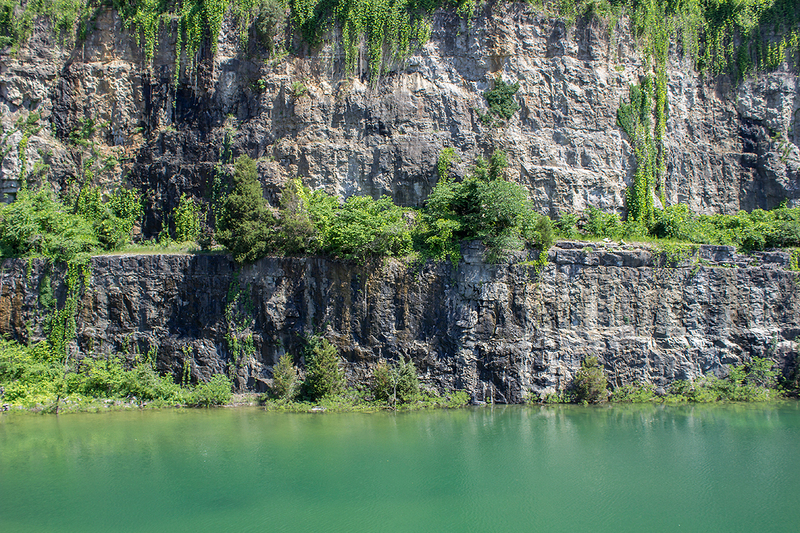 In contrast, Dangerous Waters is specific to the contemporary landscapes of TVA’s hydroelectric program and its social and cultural perceptions. It is a method of working that allows me to fully immerse myself within a subject and to explore it in a variety of ways. AB: There are a few artists creating work based around the TVA. How does your work differ from these artists. Have you ever collaborated with artists working on similar projects? Is this something you would be interested in in the future? MC: Absolutely. TVA is a broad subject, and the agency has consistently welcomed inquiry, research, and interpretation throughout its history. There is a rich collection of research concerning TVA from all vantage points: history, architecture, political science, graphic design, anthropology, and sociology, not to mention the engineering fields. I view Dangerous Waters as a component of this larger inquiry. What separates it from other artistic approaches is scope and concept. 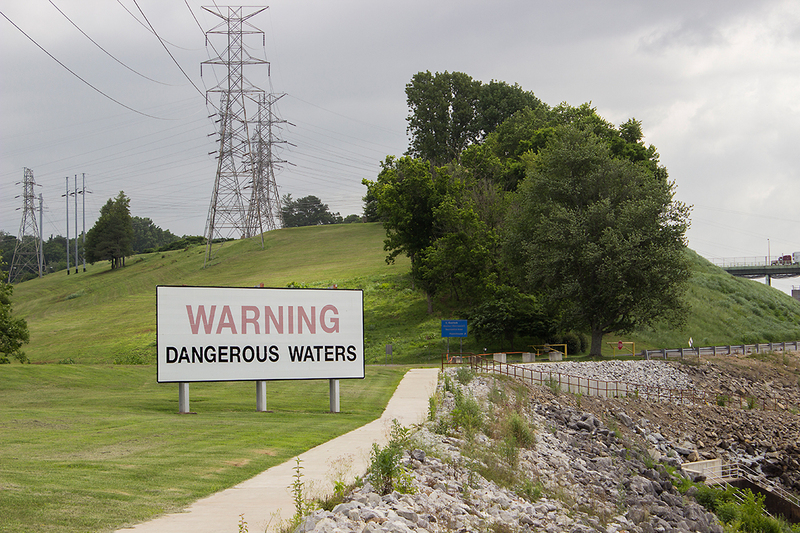 Dangerous Waters is specifically focused on TVA’s hydroelectric program. There are only a couple of photographs within the project that reference other means of energy generation and their respective consequences, such as coal or nuclear. 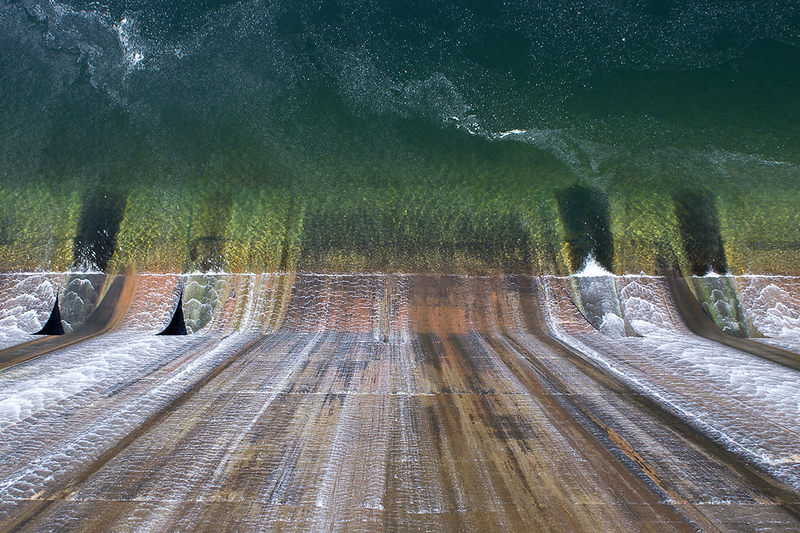 While I use landscape as the chief means of visualization, I have no interest in photographing the dams in overtly aesthetic ways or as strictly historical spaces. 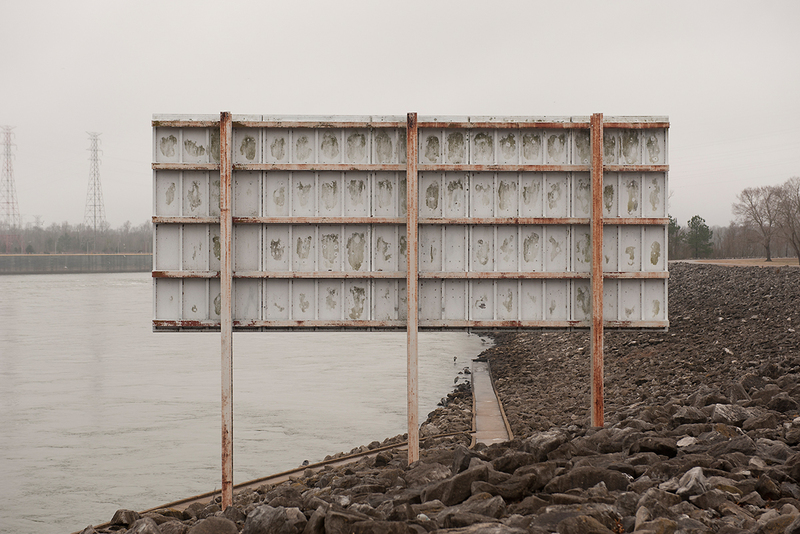 I see this project as an expanded inquiry into TVA’s contemporary visual and cultural presence. 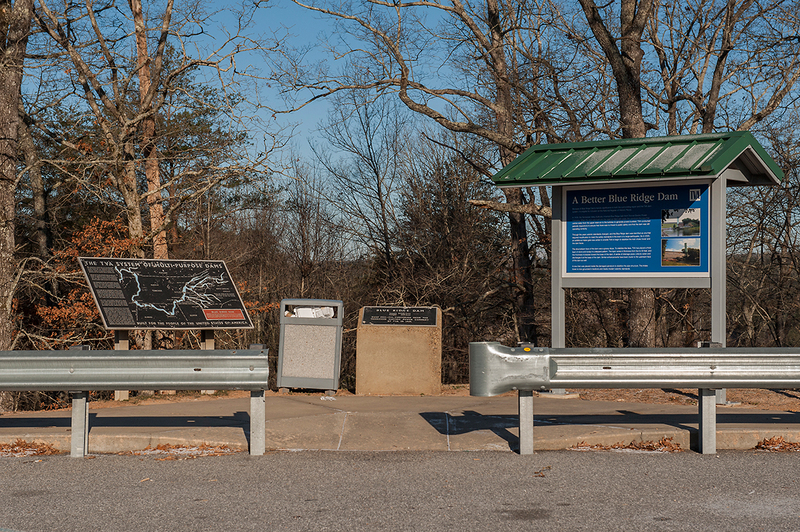 While the photographs are informed by and occasionally reference TVA’s history, they are explicitly concerned with how these spaces function and are perceived today. They impress upon the viewer the importance of the dam reservations, as well as the changing culture in which they stand. Collaborating with other artists is extremely rewarding, and something I regularly welcome. I have collaborated with musicians, writers, art historians, and other visual artists in the past, and currently have a number of collaborative projects in different stages of development. In terms of TVA, there is little research into many of its programs and initiatives, particularly those from the most recent decades. Approaching that content in fresh ways would be something I would absolutely want to be a part of. AB: After hearing you talk about this work, it is evident that research has played a crucial role in the creation of this project. How much research did you complete before even taking your first image? Are you still learning new things about the TVA? Do you think there is more to uncover? MC: I spent close to three months researching TVA and its hydroelectric program before making the first photograph of this project. During that span I read every book about TVA I could get my hands on and I immersed myself in trade literature from engineering sources and TVA itself. I also did a thorough search of active artists and researchers who worked with TVA. I wanted to be sure my work was offering a fresh approach. All of this occurred before I made the first image in June of 2013. 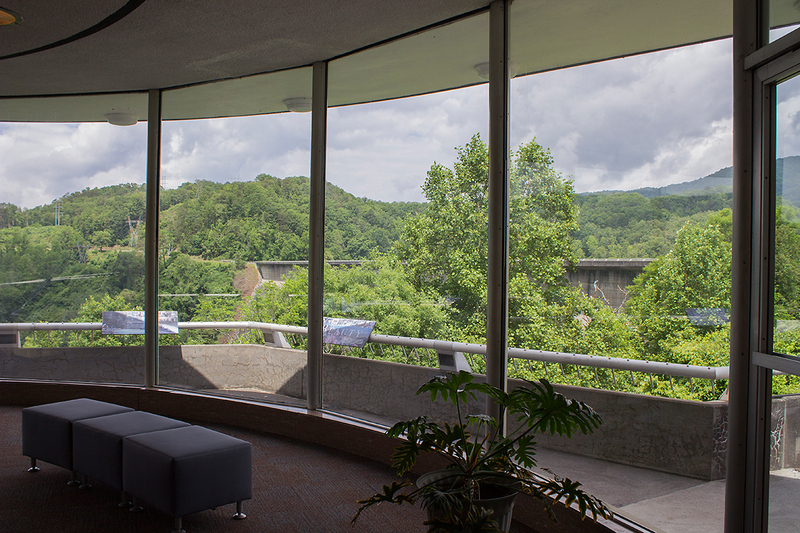 Throughout the completion of this project I have been fortunate enough to visit the TVA library in Knoxville and spend time at the National Archives at Atlanta in Atlanta, Georgia, which houses TVA’s archive. The archives include original photographic negatives, maps, family removal files, and TVA’s internal communication. As a government agency, all of this is available to the public and it has been an important component in my conceptual approach to those locations. It is important to remember that TVA is an active utility company which continues to focus on regional development and is guided by service and social welfare. The company and the land it controls are constantly changing: dams get repaired, visitor centers close and reopen, steam plants retire, the nuclear program is expanding, and TVA land is up for auction. Nothing about TVA is static except for its social mission. Whether or not that mission is upheld is debatable, but it has served as the guiding principle of the organization since 1933. However, the many changes within the dam reservations can be difficult to work with as there are photographs in this project which would be impossible to reshoot due to construction and refurbishment. In those unintended situations, the work does become explicitly documentary. AB: You have said that this body of work is complete. Whats next for you? Do you think this is a project you will revisit as new generations become aware of the TVA and its history? MC: I will always have an interest in TVA, especially from the stand-point of socialized utility. Dangerous Waters has a number of ecological and architectural threads that I want to follow into new projects. That is one of the rewarding things about making art: the resolution of one project leads to the possibility of three more. It is possible that I could revisit TVA again in the future, but I have other things I want to do first. Currently, I have a number of projects in progress, including photographic inquiries into coal ash storage in North Carolina and the history of rice farming in Southeast Texas. Work is being made, grants are being written, and potential outlets for that work are being sought. I continue to make paintings and am experimenting with both video and installation within my practice. The theme that connects my work across projects is my interest in how land use affects cultural and social geography. AB: Any plans to make a book with this work? MC: I have always envisioned this project in book form. 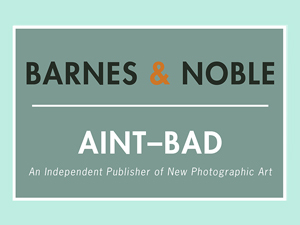 I currently have a manuscript under review that includes 70 photographs and an artist’s commentary. It allows this project to exist within an expanded context that is hard to replicate in a gallery or online, with more contextual photographs and a lengthy discussion about my experiences photographing the dam reservations. While I have been exhibiting this work for the past year and a half, I have seldom had opportunities to include more than seven or eight prints from the project in one location, nor have I had the opportunity to pair it with my own writing. 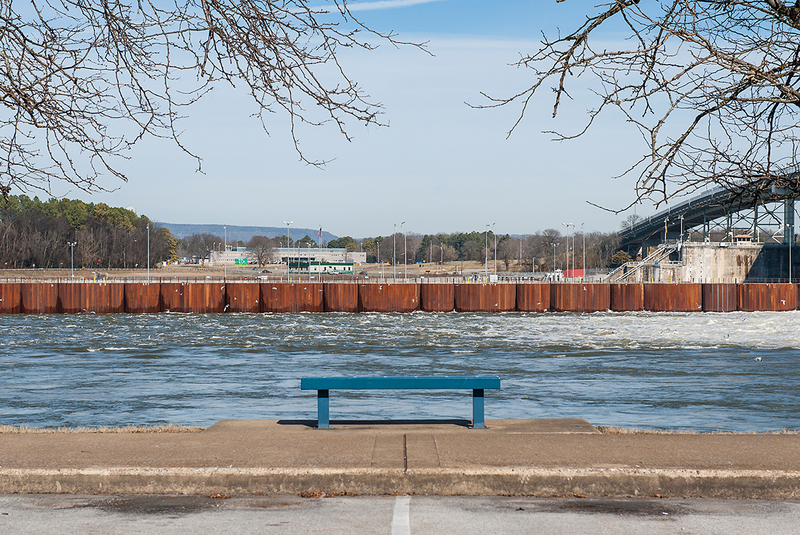 I am excited to present the work as a complete story, not only of the current cultural landscape of TVA’s hydroelectric program, but also of my experiences within it. To view more of Micah’s work, please visit his website.